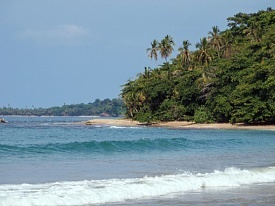 Manzanillo is an energetic port with exquisite beaches. The city's main attraction is Las Hadas resort, a village of whitewashed cottages that mix Moorish, Mexican and Mediterranean styles. The posh resort was built in the '70s by a multi-millionaire and was the filming location for the movie "10." Other options in Manzanillo include deep-sea fishing, swimming and surfing.